Established in 1981 as a co-op for Zuni arts and crafts, Keshi has always maintained personal relationships with individual carvers, jewelers and potters. We continue to buy directly from the Zuni people. Our reasonable prices and complete authenticity reflect this. We host one of the largest selections of Zuni fetishes in the world and we feel honored to be involved with these kind and generous people. 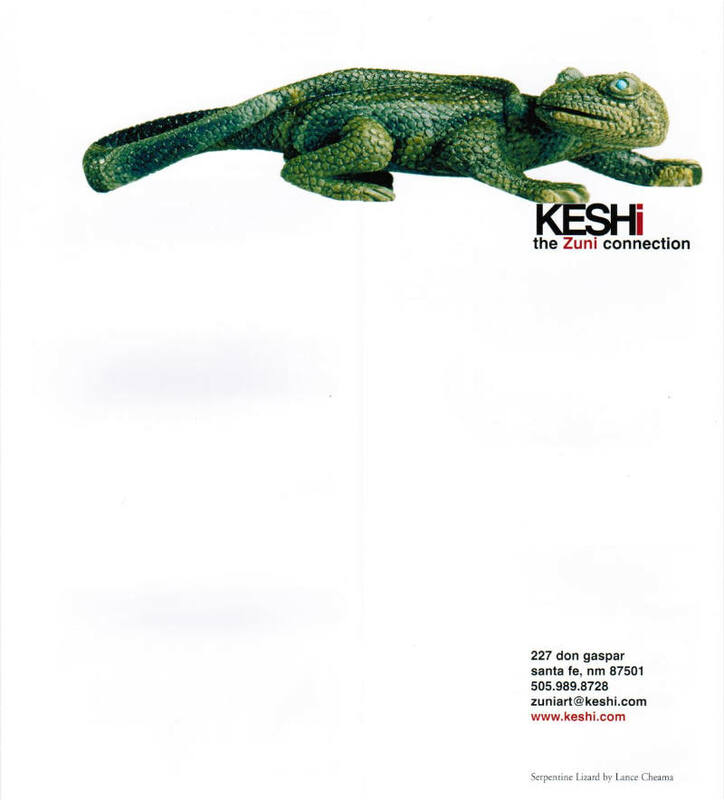 We welcome you to call or visit Keshi and experience a Zuni connection yourself. Elah-kwa (thank you in Zuni)! Keshi (kay-she) - the traditional greeting of the Zuni Pueblo People who live in western New Mexico.